In a nutshell: Kanaha is a very popular beach for locals and watersports enthusiasts. 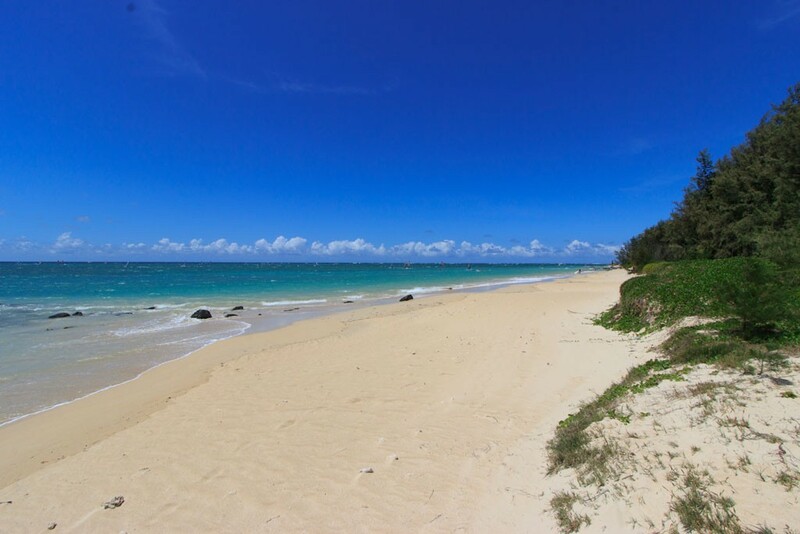 Beautiful, long, two-mile sandy beach with incredible views of the West Maui Mountains. Among the best kiteboarding and windsurfing on Planet Earth. Full facilities, camping, fishing, canoeing, surfing and family gatherings/picnicking. Minuses: Some loud airport sounds. Some less-than-desirable types may frequent here. 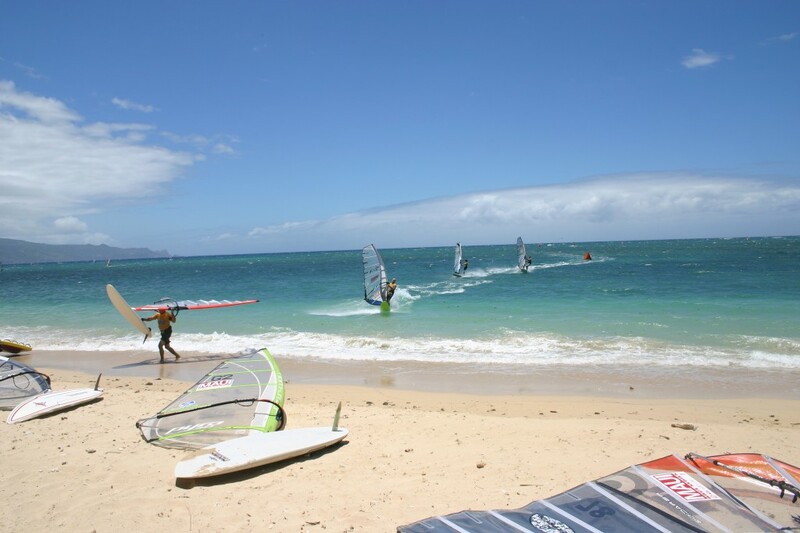 Kanaha Beach is definitely the beach with the widest variety of every day uses on Maui. It is so important to so many people who live here, but unless you’re a local family, kiteboarder, windsurfer, paddler or fisherman you’ll probably never see it! Kanaha is built around the needs of our island’s residents, and not tourism. It has a family vibe, but also has some more gritty than the sterilized environments found around the resort-centered areas. Kanaha is also literally adjacent to the airport, parallel to the main runway (so not in the flight path of airplanes like Sprecklesville beach is.) That said, expect to hear the sound of jets on the runway on the east side of the park. Tour helicopters also fly low overhead as this is in the flight path of some tours. Kanaha is the birthplace of kiteboarding. It is base for canoe clubs & fishermen. It has a campground, a place to gather and BBQ with Ohana (family.) Learn to windsurf. Racing. Volleyball. It’s awesome for beach runners too. If you go to Kanaha to use the beach, I suggest either the east end or the middle, just to the west of the lifeguard tower. If you choose east, head for the furthest East parking area, and walk east on the beach – you will have it much to yourself. The area by the lifeguard tower will have more people. To get there, follow Alamaha Place east to the last two parking lot entries. East: The parking lot closest to the airport barricade. Center: The parking lot last. how do i get more info on camping at Kanaha Beach Park? Do you need to book a spot? what are the charges? etc.